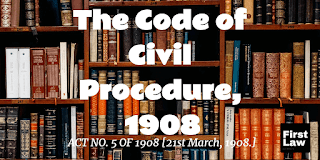 The Code of Civil Procedure, 1908 - Section 100 - Substantial Question of Law - Interpretation of any terms and conditions of a document constitutes a substantial question of law within the meaning of Section 100 of the Code. 2. This appeal is directed against the final judgment and order dated 06.08.2018 of the High Court of Judicature at Bombay in Second Appeal No. 44 of 2017 whereby the High Court dismissed the second appeal filed by the appellant herein. 3. In order to appreciate the short controversy involved in this appeal, few relevant facts need mention hereinbelow. 4. The appellant is the plaintiff whereas the respondents are the defendants in the civil suit out of which this appeal arises. 5. The appellant filed a civil suit against the respondents for specific performance of the contract in relation to the suit property. The said suit was based on an agreement dated 08.08.1984. The respondents filed their written statement and denied the appellant's claim. The Trial Court by judgment/decree dated 05.07.2004 decreed the appellant’s suit and passed a decree for specific performance of the contract against the respondents. 6. The respondents felt aggrieved and filed first appeal before the District Judge, Pune. By judgment/decree dated 10.11.2016, the first Appellate Court allowed the respondents’ (defendants’) appealand dismissed the suit. The appellant (plaintiff) felt aggrieved and filed second appeal before the High Court. 7. By impugned order, the High Court dismissed the second appeal holding that the appeal does not involve any substantial question of law as is required to be made out under Section 100 of the Code of Civil Procedure, 1908 (hereinafter referred to as “the Code”) which has given rise to filing of the present appeal by way of special leave by the plaintiff in this Court. 8. The short question, which arises for consideration in this appeal, is whether the High Court was justified in dismissing the plaintiff's second appeal on the ground that it does not involve any substantial question(s) of law within the meaning of Section 100 of the Code. 9. Heard learned counsel for the parties. 10. Having heard the learned counsel for the parties and on perusal of the record of the case, we areinclined to allow the appeal and while setting aside the impugned order remand the case to the High Court for deciding the second appeal on merits in accordance with law after framing appropriate substantial question(s) of law arising in the case. 11. Having perused the record and the judgments of the Trial Court, first Appellate Court and the impugned order, we are of the considered view that the High Court was not right in holding that the appeal does not involve any substantial question of law within the meaning of Section 100 of the Code. In our view, the appeal did involve the substantial question of law and the same, therefore, should have been framed at the time of admission of the second appeal as provided under Section 100 (4) of the Code for its final hearing. 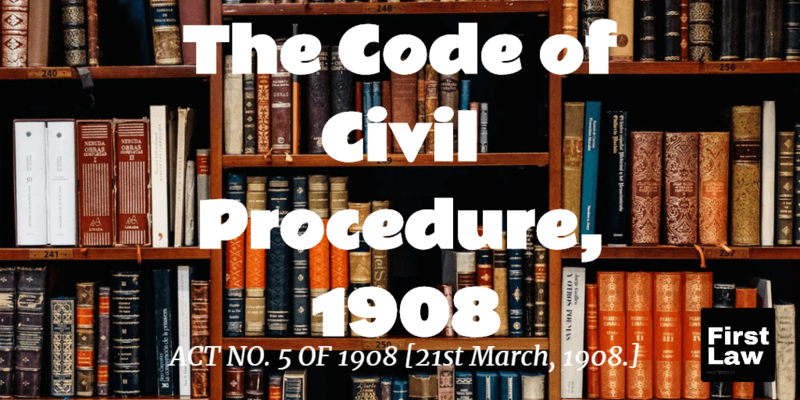 Indeed Section 100 (5) of the Code provides that the appeal shall be heard only on the substantial question of law framed by the High Court under Section 100 (4) of the Code. 12. It cannot be disputed that the interpretation of any terms and conditions of a document (such as the agreement dated 08.08.1984 in this case) constitutes a substantial question of law within the meaning of Section 100 of the Code. It is more so when both the parties admit the document. 13. As mentioned above, since the interpretation of documents constitutes the substantial question of law, the High Court should have first framed appropriate substantial question(s) arising in the case especially on the questions in relation to the true intent, rights and obligations arising from Clauses 3, 5 and 15 of the agreement dated 08.08.1984 in the context of pleadings and the reversing findings of the two Courts below and then should have called upon the respondents to reply to the questions framed keeping in view its jurisdiction under Section 100(5) of the Code and its proviso. 14. In addition, the High Court also could have framed questions on the issues, which are material for grant or refusal of specific performance keeping in view the requirements of Section 16 of the Specific Relief Act, pleadings of the parties, and the reversing findings of the two Courts below on such issues with a view to find out as to which finding is more preferable. 15. From the reading the impugned order, we find that, on one hand, the High Court went on interpreting the terms of the document after hearing the argument of both sides (see appearance of both parties through lawyers) and on the other hand, in conclusion, held that it does not involve any substantial question of law. It virtually, therefore, decided the second appeal bipartite like the first appeal without keeping in view the scope of its jurisdiction conferred by Section 100 (4) and (5) of the Code. In our view, the approach of the High Court while deciding the second appeal wasnot in conformity with the requirements of Section 100 of the Code. 16. Learned counsel for the respondents(defendants), however, vehemently argued that the findings of the High Court, which are of affirmance, do not call for any interference which rightly resulted in dismissal of the suit on material issues but, in our view, it is now for the High Court to examine the issue afresh on merits after framing the substantial question(s) of law. We, therefore, express no opinion on the merits of the issues urged. 17. In the light of the foregoing discussion, we refrain from entering into the merits of the case having formed an opinion to remand the case and while allowing the appeal and setting aside the impugned order remand the case to the High Court with a request to admit the appeal and frame appropriate substantial question(s) of law which arise(s) in the case in terms of Section 100 (4) of the Code and then decide the second appealon merits by answering the question(s) framed as per Section 100 (5) of the Code in accordance with law without being influenced by any of our observations on merits. 18. The appeal is accordingly allowed. The impugned order is set aside.